Got a head full of dreads but don’t want to flash them? Is your Bob Marley T-shirt collection looking a little anemic? Need to find a way to mask the smell of herb superb coming from your bedroom? 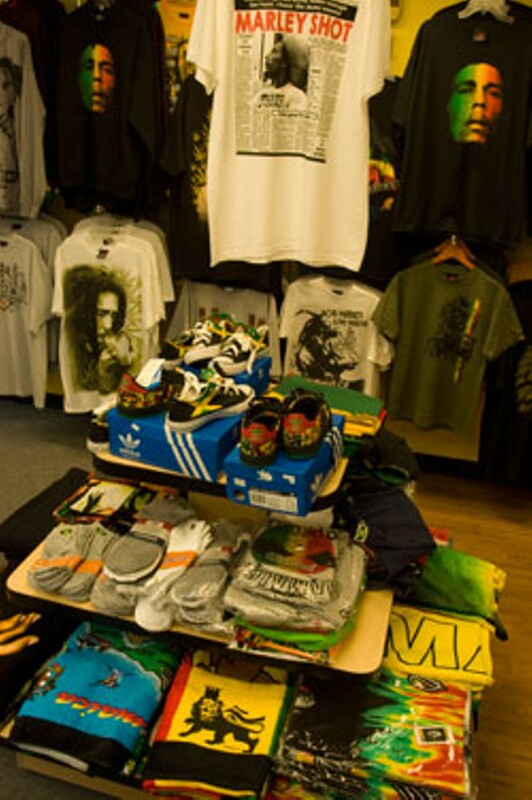 Then look no further than Sweet Sweet Jamaica Rasta Roots, Winooski’s first, and only, Caribbean culture retail store. Yes, you read correctly — it’s in Winooski. Since the Onion City is the place for recent immigrants, refugees and young professionals priced out of the Burlington housing market, it makes sense that a shop selling various and sundry trinkets from the islands would find a home there. Sweet Sweet Jamaica briefly set up shop in the Burlington Town Center before making a move to Main Street two months ago. Owner Leroy Headley, a native of Negril, Jamaica, opened it with the intention of bringing a little bit of Jamaican flavor to Canada Minor. Headley has been in the U.S. for eight years. He moved to Vermont five years ago because the rural environment reminded him of his home. “I wanted to be somewhere quiet,” he says. Before opening Sweet Sweet Jamaica, named for the countless songs praising that sweet, sweet island nation, Headley ran a cab company in Burlington. But rather than ferrying passengers from point A to point B, his real passion is bringing his culture to a state that could not be more different than his Caribbean home. The shop is at the end of a retail block that also houses a flower shop, a Halal market, a mobile-home supply store and a real estate office. Were it not for the gold saltire of the fluttering Jamaican flag out front, you could easily miss it. Walking into Sweet Sweet Jamaica, one is greeted by the off-beat tones of Buju Banton, Burning Spear or any number of musical Marley children. Everything is green, red, yellow or black except the bubbling fish tank. 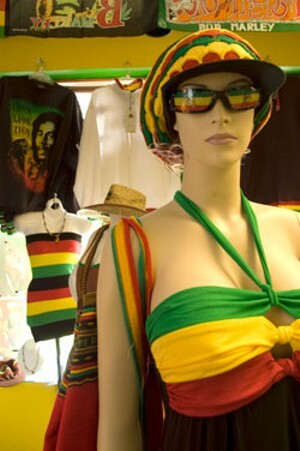 For reasons not completely clear to Headley, reggae and Rasta culture seems to strike a chord with the college set here. For evidence that the island vibe has solidly taken root in Vermont, one needs look no further than the preponderance of white kids with dreadlocks, hemp pants and a glass pipe stashed in the pocket. If you’re one of those heady, dready kids but don’t already have a glass pipe, Headley can help you out. His modest collection of “smoking accessories” is the main reason people come to his shop, he says. But they also come for the dozen different types of doo-rags, the impressive collection of flip-flops and other Jamaica-ania. Sweet Sweet Jamaica sells just about every kind of Bob Marley accoutrement a devout reggaehead needs — Bob Marley incense, Bob Marley lanyards, Bob Marley belt buckles, Bob Marley change purses and Bob Marley onesies for your wee Rastas. If you’re feeling like you need another Marley T-shirt in your collection, Sweet Sweet Jamaica can outfit you in a different design for every day of the month. Headley also carries a substantial inventory of clothing featuring the likeness of Haile Selassie I, the former emperor of Ethiopia who is considered by Rastafarians to be the incarnation of God, or Jah. Even if you’re not lacking in island wear, Sweet Sweet Jamaica is worth a visit, if only for the cultural exploration or to recharge your irie. And, of course, to replenish your Bob Marley rolling papers. Sweet, Sweet Jamaica Rasta Roots, 325 Main Street, Winooski, 338-9090. This is just one article from our 2009 Fashion Issue. Click here for more Fashion stories.